She plays the role of an amazing and incredibly loyal best-friend in Disney X D’s hit show, Kirby Buckets; and she’s even worked on the highly-anticipated, new Spiderman movie, “Spider-man: Homecoming;” she’s the magnificent actress who has captured the hearts of fans worldwide and her sensational acting skills is truly awe-inspiring – she’s the outstanding Tiffany Espensen! There are so many things that we all love about the fantastic Tiffany Espensen. She’s an exceptional actress who has exhibited her remarkable talent in highly-acclaimed projects and she does such a brilliant job portraying every character she takes on. Another one of the many things we love about Tiffany Espensen is her vibrant and bubbly personality. She is such a classy and fabulous, young lady who is so beautiful both inside and out. She inspires her fans to work hard and be true to who they are and she always radiates kindness to those around her. With her mesmerizing talent and her wonderful persona, a bright and shining future in the entertainment industry will definitely continue for this dazzling multi-threat! 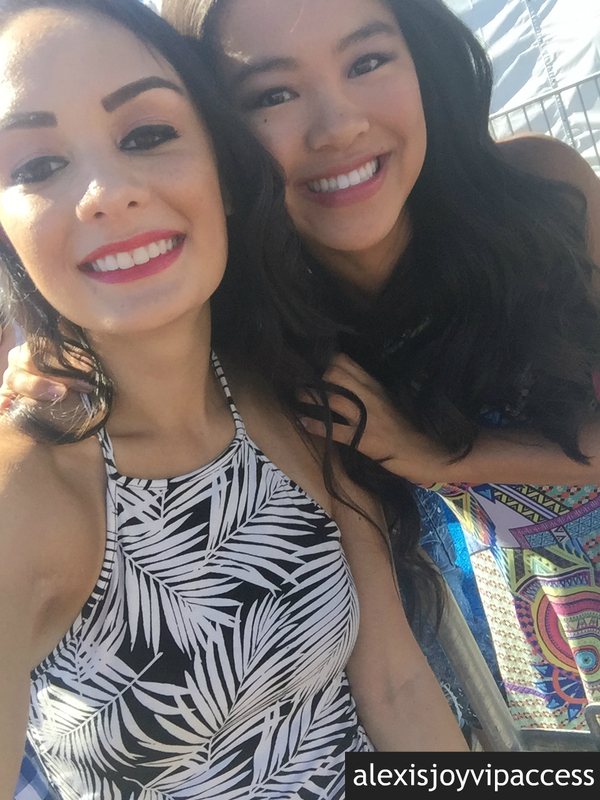 I, Alexisjoyvipaccess had the great honor of covering the inspiring Mattel Party on the Pier event again for the third year in a row and had a terrific time catching up with and interviewing the gorgeous Tiffany Espensen at the event. Tiffany Espensen dished exclusively to Alexisjoyvipaccess all about what her favorite episode is from Kirby Buckets, what is one thing she would like to keep from the Kirby Buckets set (and she actually got to!) and so much more only in our VIPAccessEXCLUSIVE interview. Tiffany Espensen even spilled on what it’s like for her to have worked on “Spiderman: Homecoming” – hear what she had to say in our VIPAccessEXCLUSIVE interview below. Thanks for the fun interview, Tiffany – it was a blast chatting with you! Check out my VIPAccessEXCLUSIVE interview with the ravishing Tiffany Espensen at the 2016 Mattel Party on the Pier below! The Mattel Party on the Pier is a fantastic event perfect for families and friends to attend together. It’s a fun-filled day with many exciting activities, awesome rides, and the best part of it all is that it benefits the Mattel Children’s Hospital UCLA! Previous Article: Beau Mirchoff Looked Super Dapper At People’s “Ones To Watch” Party! Next VIPAccessEXCLUSIVE: The Marvelous Landry Bender Interview With Alexisjoyvipaccess At The 2016 Mattel Party On The Pier!